One-hundred years ago at the 1894 Midwinter Fair in San Francisco, sixty artists showed their paintings and prints in the Fine Arts Building. Twenty-eight of these were women. This historic essay is an appreciation of the Midwinter Fair women artists, whose fine work was compromised by history, but not by their talent. In retrospect, the status of women's art in Nineteenth Century San Francisco was quite remarkable. As the seat of culture in the new West, San Francisco attracted and supported a vigorous art community. Its first school of art called the California School of Design, predecessor to today's Art Institute, welcomed both men and women as students and instructors. How this fledgling school managed to flourish in the late 1800s, especially in the throes of the twenty year cycles of depression, is a wonder. From the time of the Gold Rush to the 1900s, a series of events offset the depressions and brought fresh money into the city. This flow did not necessarily help the ordinary working people but it added to the affluence of the upper class here. The California gold rush, the Nevada silver strikes, the completion of the transcontinental railroad, the Alaska gold rush and the Spanish-American War funnelled cash into the already prosperous class in the city. This group supported the arts. San Francisco's wealthy families sent their sons and daughters to the best schools in the world. Through the rich men and women who attended the School of Design, the School had direct entre to upper class financial support and maintenance. Such an arrangement profited the students, the school, the art world, and San Francisco. While the rest of the U.S. struggled to support their art community, this city cultivated a cadre of fine artists. For the most part, the women who studied art at the School of Design were not Sunday afternoon dabblers. Frequently schooled in Europe and instructed by the best artists, they were well educated and accomplished in their craft--easily equal to the men. When they married, some terminated their career as artists. The names and paintings that have survived for one-hundred years designate the very talented women still unfortunately too obscure in the history of women and of artists today. The women artists of the Midwinter Fair were the best women artists in town. Several had shown their works at the 1893 Columbian Fair in Chicago. According to the California Commissioners, the California Pavilion was the only state building with its own art gallery. Within that 2800 square foot gallery, one half of the exhibitors were women. Women also had another exhibition space called the women's exhibition gallery in which to show. The California Pavilion housed the controversial statue of Queen Isabella sculpted by the internationally famous American, Harriet Hosmer. Even a century ago there was question about giving Columbus credit for discovering the New World. An organization called the Queen Isabella Society proposed that Columbus should share the honor of founding America with the person who funded his expedition, namely, Queen Isabella of Spain. To press their point, the Isabellas, mostly professional women suffragists from Chicago, commissioned the famous sculptor, Harriet Hosmer to create a Queen Isabella statue for the Fair. Behind this obvious agenda was the main agenda, that is, to assert that women who have shared society's responsibilities should have the right to vote about these responsibilities. From the very beginning the Isabellas struggled to raise funds for the Queen Isabella statue. They wanted their own Isabella Building at the Fair. Here they rivaled other women who were promoting the Women's Building and who were also having difficulty with funding and the right to have their own building at the Fair. Finally, there was no Isabella Building. When the Women's Building commissioners offered their building to Queen Isabella, Harriet Hosmer rejected the offer. She believed that art should be shown in a environment free from gender discrimination. When the commissioners of the California Pavilion offered their building to host the statue of Queen Isabella, Harriet Hosmer accepted. At the Columbian Fair, the plaster statue of Queen Isabella stood before the Pampas Palace in front of the Alameda County Display inside the California Pavilion. The Pampas Plume Palace was an octagonal pagoda, twenty feet in diameter with the tallest point 32 feet, fashioned entirely from Pampas grass grown by a woman in Southern California. Ina Coolbrith, commissioned to write a poem for the dedication of the Pampas Palace, wrote "Isabella of Spain." With eyes prophetic as the eyes of seers. Left sparkling in her royal diadem? Like becoming angels, leading unawares? In music from the sacred Mission bells. We love thee, Queen, we love and honor thee. Harriet Hosmer did not have an entirely positive experience in San Francisco either. While Queen Isabella, as in Chicago, received commendable reviews from art critics and the public, the statue met discussions of a different kind in San Francisco. The Jewish community of the city reminded the jurists selecting statues to remain in Golden Gate Park that Queen Isabella and King Ferdinand were rulers at the time of the Spanish Inquisition when Jews were converted, killed or exiled. Bear in mind that 1894 was the year Adolph Sutro, a prominent Jew backed by the Populist Party, ran for mayor of San Francisco and won. Harriet Hosmer's last hope for her statue to be bronzed for an outdoor setting vanished. From Hosmer's actions after the Fair, it would seem that these experiences with the American Fairs exhausted her enthusiasm as a sculptor. She left the Queen Isabella statue in San Francisco, went back to her studio in Rome and closed it. Returning to Watertown, Massachusetts, her birthplace, she spent the rest of her days working to create a perpetual motion machine. Presumably, the statue of Queen Isabella was destroyed in the 1906 earthquake. Another sculptor had difficulties at the Fair. Caroline S. Brooks, widow of San Francisco painter, Samuel Brooks, was self-taught and learned a process of sculpting that involved molding in butter before progressing to marble. She became known as the "Butterlady" in Chicago and endured a certain amount of teasing based on ignorance about her buttermolding technique. One critic panned her two statues of Lady Godiva. Brooks persevered. At the Midwinter Fair she was the only woman artist to conduct a concession, suggesting she needed the income. The Midwinter Fair O'Shaughnessey's Map Index which identified #47 as Mrs. Book's [sic] Studio, was actually Mrs. Brooks' Studio. Near the Haunted Swing and the New England Kitchen, one could watch Mrs. Brooks carve marble using hand tools and machinery ... for ten cents. Choosing Lady Godiva as a subject of two statues clearly identified Brooks as a suffragist. The 1906 earthquake destroyed Brooks' two Lady Godiva statues. Another piece, "Sleeping Iolanthe" is unlocated. At the Midwinter Fair, the twenty-eight women who showed their work inside the Fine Arts Building of the Fair were the best painters emerging victorious through years of exhibitions. On Tuesday, December 15,1885, two thousand San Francisco socialites attended the opening reception of the first exhibition of women's paintings in California. The School of Design proudly hosted this evening in its festively decorated Pine Street rooms. There was sparkling wine, the perfume of flowers, beautiful music and delicious food. From this successful event and others like it, the women artists founded The Sketch Club in 1887. 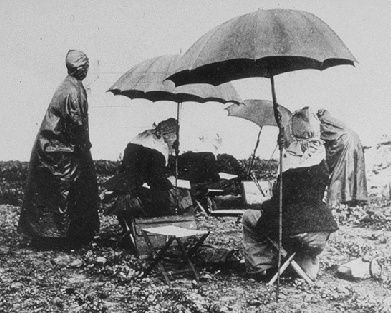 San Francisco women donned their bonnets and smocks as they sketched the beauty of Pacific Grove and Carmel. A core group of women artists kept the club tradition alive. Evolving from that early Sketch Club of 1887, today's prestigious San Francisco Women Artists, located at 370 Hayes Street, San Francisco, became California's first women's art club. Many of the 1894 Midwinter Fair women artists were members of the Sketch Club. History chose the women for this essay by consistently and prominently recording their names in sources. While Dora Williams was also a fine artist, history validated her valuable friendship to Robert Louis Stevenson and Fanny Osbourne in the early struggling days of their marriage in San Francisco. As a friend, a helper, and a supporter, Dora Williams reiterated for historical memory the crucial traditional role women have performed for centuries for many beginning artists and writers. Historically women often have assumed a role of a bridge, connecting peoples of different cultures and nations, as a peace maker. Helen Hyde adopted such a posture. By selecting subjects of non-Caucasian children and their mothers to show to the Western European world, she voiced a strong statement for understanding universal family values common to many peoples. Eva Withrow projected a deep sensitivity for subjugated Indian tribes when she painted Native Americans of the West. Alice Chittenden's artistry of flowers transcended art when she painted California wild flowers and native plants. Once Chittenden became a scientific recorder of nature, she joined the world of botany. Matilda Lotz entered the science of animal husbandry when she portrayed domestic animals on her canvas. 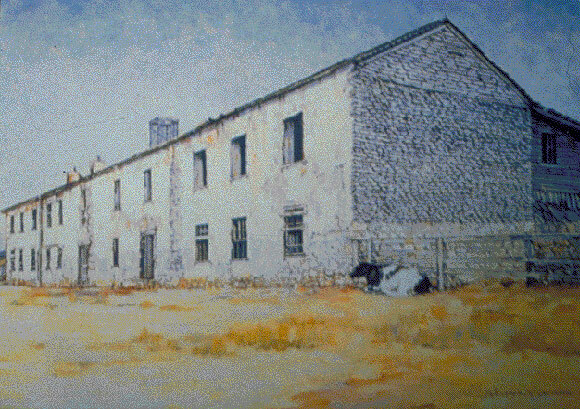 When M. Evelyn McCormick detailed the early buildings and adobes of California, particularly in the Monterey area, her paintbrush became an historical camera. These artists were fine portraitists at a time when camera film could make only black and white images. Their colorful paintings of famous early California subjects are visual memories of important local history. While these artists painted mainly flowers and people, their genius shaped their subjects to serve science, ethnology, politics, architecture and history. The women who showed at the Fine Arts Building of the 1894 Midwinter Fair were decidedly an uncommon group of people. Alice B. Chittenden should be called the "Grand Dame" of the Nineteenth Century San Francisco women artists. From the time she began to paint until the end, Alice Chittenden commanded high commendations. Born in New York, she came to the city as a child. Supported by the affluence of a father who was a prosperous miner and a mother who agreed with her pursuit of art as a career, Alice Chittenden flourished. She was one of two women who broke the all male monopoly of art exhibitors at the Bohemian Club in 1898. Her gold and silver medals were numerous. She was a member of the early group of San Francisco Women Artists. Her service as an instructor at the School of Design from 1897 to 1940 earned her a life membership in the San Francisco Society of Artists. Chittenden's subjects were mainly flowers, but she also was a outstanding portraitist. Her large flower portrayals, stunning in color and compelling in grandeur, invariably captured praise from the most particular art critic or jaded gallery visitor. She became friends with Alice Eastwood, the Curator of Botany, at the California Academy of Sciences. They went on walks together gathering botanical specimens which Alice Chittenden turned into slides that still can be seen today in the Academy archives. Her paintings of flowers hang in the office of the Curator of Botany, Academy of Sciences, and in the Russell Library of the Strybing Arboretum. 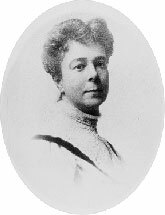 Alice Chittenden became a famous portrait painter of many California celebrities. Her painting of Alice Eastwood today presides over the office of the Curator of Botany at the Academy of Sciences. At the Midwinter Fair Alice Chittenden showed works entitled "Roses" and "Chrysanthemums." Helen Hyde was an illustrator, an etcher, a painter and a printmaker with an international reputation. As an early member of the San Francisco Women Artists, she met Josephine Hyde, a cofounder of that group (unrelated to her), who introduced Helen Hyde to printmaking. 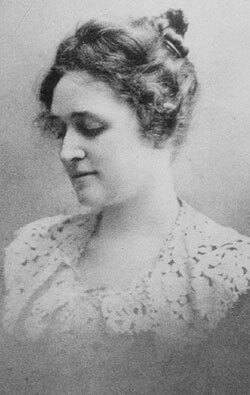 Born in Lima, New York, Helen Hyde came West with her family. When her father died, the family moved to San Francisco to live with Augusta Bixler, "Aunt Gussie." With Aunt Gussie's generous support, Hyde was able to travel to Europe and New York to learn from the best teachers. Her subjects were rarely Caucasian, mostly Chinese, Japanese, Mexican and Afro-American children and their mothers engaged in everyday activities. In portraying other races and ethnic subjects to the Western Art world, Helen Hyde performed a valuable public service beyond sharing her beautiful art. She promoted an understanding of what is common among all people, that is, the universal love of family and children. Her early years of painting subjects in San Francisco's Chinatown were only the beginning of her quest for family, mothers and children on canvas. After she spent years living and learning in Japan, she earned the respect of the Japanese people. For the Argonaut, a city magazine, she wrote several articles sympathetic to the Japanese side in the Russo-Japanese War. For the World War I effort, she created posters for the Red Cross. Each time Helen Hyde returned home throughout her life, she vigorously re-entered the various activities of the San Francisco Women Artists and the San Francisco Society of Artists. Hyde's paintings of the Midwinter Fair were "In the Kitchen Garden" (oil), "Woman Knitting" and "Girl with a Bowl" (watercolors). At the Chicago Exposition, Clara McChesney garnered two gold medals. Although she was born in Brownsville, California, and studied at the School of Design, Clara McChesney spent most of her life in New York and Europe, eventually dying in London, England. The subjects of her paintings were often children. At the Midwinter Fair, Clara McChesney entered an oil, "The Last Spark" and a watercolor, "Still Life." Matilda Lotz received rave reviews at the first exhibition of women's paintings, Dec. 15, 1885, for her rendition of animals. 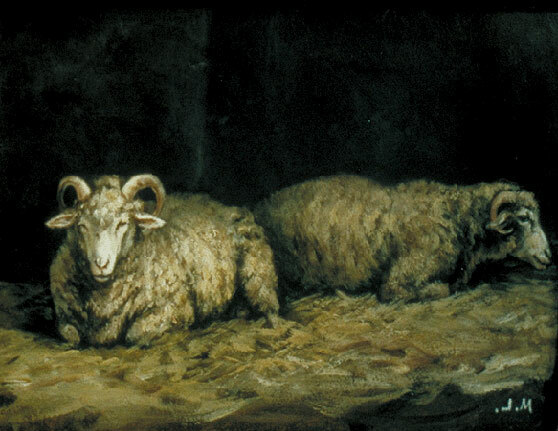 Because her domestic animals, dogs, cats, cows, sheep, horses were superbly drawn, she was called the American Rosa Bonheur. Critics proclaimed her technique broad, vigorous and strong and pronounced "she painted like a man." 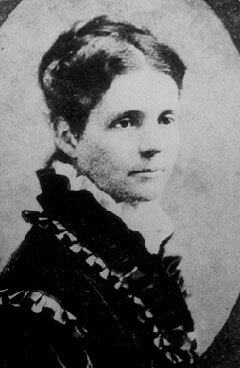 Born in Tennessee, her family moved to San Jose in 1869. Matilda Lotz began painting early and was tutored by her bother Paul, also an accomplished artist. At the School of Design, she graduated with the highest honors. Then at the Paris Academy of Painting, Matilda Lotz became the first woman in the history of the academy to receive two gold medals. She was also an excellent portraitist and landed commissions in Europe among the royalty. In the 1880s in San Francisco, she painted the famous people of California. In the Midwinter Fair, Matilda Lotz displayed "Street in Cairo." M. Evelyn McCormick said, "I seldom finish a picture. I work always direct from nature and never trust my memory on light or coloring. Then, often, I repaint my studies the following year, change the lighting and sometimes the details ... but I really seldom have anything that is absolutely finished." Evelyn McCormick was a dynamic woman intimately involved with many facets of the art community. If there was a committee or a jury, invariably Evelyn McCormick was on it. She was the only woman on the jury selecting paintings for the Midwinter Fair. 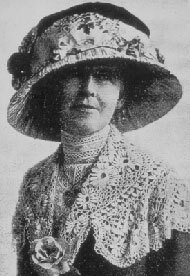 She was one of few women hired by William Hearst to sketch Midwinter Fair scenes for the Examiner. She showed at the Chicago Columbian Fair in 1893. She left a legacy of paintings that represented two distinctive styles: the commercial and the artistic. The advertising-commerical style was a representational treatment, often of the old adobes and early buildings of California. Her artistic style was impressionistic. She depicted the landscapes of California. In her day she was compared to Monet and Hassam After the 1906 earthquake, M. Evelyn McCormick left San Francisco and settled in Monterey. Her paintings at the Midwinter Fair were "Arizona Gardens, Del Monte"; "Field of Pansies"; "Cactus Comer, Del Monte Grounds." "...a slim, straight-backed, decisive Yankee woman who prided herself on a frankness that was sometimes rather appalling. She wore heavy silks and velvets, unbecoming hats, fairly rattled with necklaces and bangles, and carried, fastened to her belt, an assortment of silver articles, mesh purse, pencil- case, knife, button-hook that dangled on the ends of little chains. I thought they were lovely. She and my mother became friends at once and a year later , when my mother married Louis Stevenson, Dora and Virgil Williams were the only witnesses." Robert Louis Stevenson and Fanny Osbourne, both financially precarious when they started their life together in San Francisco, needed a good friend. Dora Williams filled a special place of literary history as the important friend of these two struggling artists. The Williams', sensitive to the needs of the newlyweds, offered their ranch in Mt. Helena to the Stevensons for their honeymoon. Inspired by that visit, Stevenson wrote "Silverado Squatters" and dedicated the piece to his good friends, Dora and Virgil Williams. 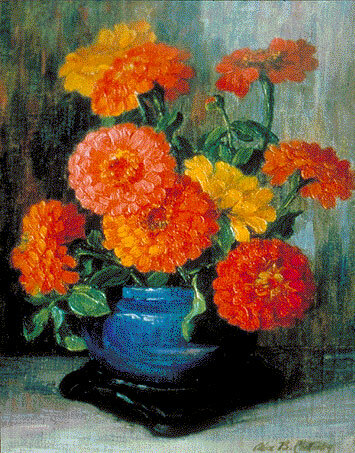 Dora Williams painted watercolors, using vibrant colors with a technique that was impressionistic. After the Midwinter Fair entry, history records little about Dora Williams. It seems possible that with the untimely death of her husband in 1886, her role at the School of Design changed quickly and that might have affected her painting. After the 1906 quake, Dora Williams moved to Berkeley and lived out her days. During her lifetime, Eva Withrow earned a reputation as an artist of "...daring, independence, and originality combined with deep spirituality. " As a "painter of the spirit", she boldly pursued the very soul of her subjects. Eva Withrow's family moved from Santa Clara when she was a young child. In San Francisco she and her sister attended the city's public schools. She graduated from the College of the Pacific and then went to Europe to study with the best. At the Munich School under the tutelage of J. Frank Currier, Eva Withrow seriously sought her artistic voice. Soon her talent to capture the inner nature, the essence of her subject, on canvas, made her portraits the talk of the Continent. Her Kensington studio-salon in London attracted patrons, admirers, and celebrities from the art and literary world. Departing from portraits, Withrow began to create paintings without figures, landscapes, or buildings. She produced paintings depicting moods, imparting mysticism. Then combining that emphasis with portraiture, she sought the spirit of the West by painting the Navaho, Hopi, Pueblo and Southern California Native Americans. Her landscapes of the West were magical. Back in San Francisco, she opened a salon on 2016 Pine Street and once again validated herself as a superb portraitist when she painted California's famous people. In 1925, Eva Withrow became the first president of the newly reorganized Society of Women Artists, now known as the San Francisco Women Artists. Her paintings at the Midwinter Fair were "Violets" and "Forest Moret, France." Lifting the veils of obscurity from these women artists was done with the help of many people. My thanks to the library staff of the San Francisco History Room and to Faun McInnis, Director of the Art/Music Department of the Main Public Library. A special thanks to the sleuthing of Pat Guy who discovered Ina Coolbrith's "Isabella of Spain" resting in Coolbrith's Scrapbooks in the Oakland History Room. My appreciation extends to the de Young Museum fine arts staff: Donald Stover, Marc Simpson and Jane Glover; to the Academy of Sciences archives' staff, especially Penny Ahlstrand. Mr. Alfred Harrison and his staff at the Northpoint Gallery were of enormous help. I owe thanks to Fran Hicks and the San Francisco Women Artists' organization that opened their archives for me. Thanks to Edan M. Hughes, Virginia Larribeau and Olga Kertesz for their help with specific paintings and images. Thanks to my fine collaborator Sue Cazaly, who assisted in the art research, and who created the images used in tonight's accompanying slideshow. She was invaluable in sharing her enthusiasm and artistry. To Walter Biller with the flying fingers and the infectious talent, my thanks for crafting my pages into this leaflet. My first and best thanks to the women artists of the 1894 Midwinter Fair for their legacy of beautiful art. Final Report of the California World's Fair Committee. Chicago, 1893. The Guidebook of the Midwinter Fair, 1894. Hughes, Edan Milton. Artists in California. 1786-1940. Vol 11. S.F., 1989. Jacques, Bertha. Helen Hyde and her Work. Libby Co., 1922. Lewis, Oscar. Bay Window Bohemia. Calif.,1985. Mason, Tim and Lynn. 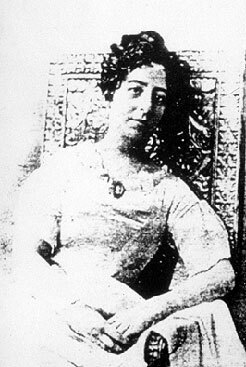 Helen Hyde. Smithsonian, 1991. The Monarch Souvenir of Sunset City and Sunset Scenes. SF, 1894. Official Catalog of Fine Arts. Midwinter Fair Exhibition, 1894. Official Catalog of Fine Arts. Pan Pacific Intern. Expos. 1915. Revisiting the White City. American Art at the 1893 World's Fair. Smithson., 1993. Sanchez, Nellie Van De Grift. Life of Mrs. Robert Stevenson. N.Y., 1925. Shaw, Marion. World's Fair Notes. Pogo Press, 1992. Tufts, Eleanor. American Women Artists 1830-1930. Wash., DC, 1987. Weimann, Jeanne Madeline. The Fair Women. Chicago, 1981. Weisberg, Julia M. and Gabriel P. Japanism Comes to America. NJ, 1990. Boerginger, Pierre N., "Original Sketches by San Francisco Painters". Overland. Feb., 1896. Bryon, Sonia. "California Impressionism". Art of California. Dec. - June, 1989. Dinwiddie, William. "Miss Helen Hyde of Japan". Harper's Bazaar. Jan. 1906. Emerson, Gertrude. "Helen Hyde and her Japanese Children." American Magazine of Art. Sept. 1916. Hyde, Helen. "The Colour Lure of Mexico." The International Studio. Nov. 1913. Irwin, E.P. "San Francisco Women who have Achieved Success." Overland. Nov. 1904. James, George Wharton. "Evelyn Almond Withrow, Painter of the Spirit." National Magazine, Aug. 1916. Johnson, Catherine A. "A Time of Change., Northern California Women Artists, 1895-1920." Viewpoints. de Young Museum, SF, 1991. Walter, John L. "San Francisco Art Assn." Art In California. SF, 1916. Wilson, Raymond L. "California Women Artists", Art of California. Dec., Jan. 1989. "The Midwinter Fair Supplement". SF Examiner. Jan 28,1894. San Francisco Newsletter. 1800-1900. Especially 1880-1890.